Start researching what you need to bring to college. I will be doing a post on this in the next few weeks, but start thinking about personal items you want to bring (such as decor, clothes, etc.) and then start looking up basic items you need to bring to college. 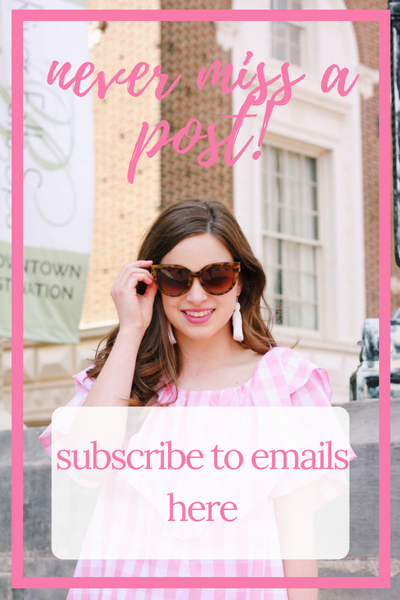 This list is variable to each and every person, so don't stress if you feel you need to adjust a packing list you find on a blog or youtube video. Look at multiple lists and start making your own. I also recommend deciding what items you will be reusing in your dorm. Do you already have twin bedding? Maybe you can reuse some of the pieces of your bedding in your dorm. Do you love your full length mirror in your closet? Maybe you can save money and use that one in your dorm. Just keep these things in mind when shopping so you don't spend an exuberant amount of money on items you already own. You also need to check with your roommate. If you don't have a roommate yet that's ok, but don't make any design decisions until you talk with her. If you don't plan on coordinating, however, go ahead and start shopping. But, be open to coordinating if your roommate wants to coordinate. Once you get in contact with your roommate, make a list of items that you will use together (such as a fridge, microwave, laundry rack, steamer/iron, etc.). You don't want to bring duplicate items into such a small space, so make sure you are on the same page when it comes to buying items. Also make a plan of what each of you is bringing decor and furniture wise. If your roommate wants to bring a futon but you want to bring a big chair, figure out what will work and make compromises. I also found it helpful to make a diagram of the room beforehand, so we knew exactly what would fit and how we wanted to arrange everything. Another word of advice is to look up your room diagram on your college's website. Sometimes schools will provide layouts of the dorms with dimensions. This makes it easier come move in day as you already have an idea of the room layout. And a final word of advice: start big with dorm shopping. Don't start buying command hooks and cleaning supplies and check off every item, big and small. Buy big ticket items first- such as bedding, lighting, rugs, storage items. etc. Then fill in everything else you need. There are literally thousands of websites designed specifically for dorm shopping, and even more for house and decor shopping. I definitely was overwhelmed by the selections, especially since I wanted a less trendy and more preppy/classic style dorm room. Here are some shops I found that help me find the decor and bedding I knew I wanted. I absolutely love Dorm Decor. I'm sure you have seen the super elegant dorm rooms at big schools like Ole Miss. I'm absolutely positive that many girls buy their headboards, bedskirts, and more from this site. I bought my bedskirt here as well. The items are elegant, well-structured, and absolutely beautiful. You can also customize these pieces to complete your dream room. These pieces can make your dorm look like a regular room! Dormify is great because you can shop by room if you need inspiration, but also purchase items separately. Their items are designed specifically for dorm rooms, so you can easily find storage solutions, bedding, etc. The only issue I have with Dormify is that most of their items are on the trendier side and don't necessarily fit my style, but using them for items such as rugs, storage, and other less decorative items is helpful, especially with their low prices. 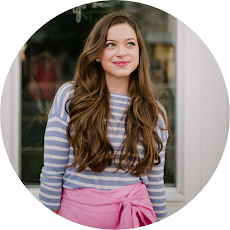 I purchased so many items from Pbteen. They produce high quality items and also coordinate rooms so you can easily purchase items from a specific style. They also produce items specific to dorm rooms, so you will be assured that these items will work to your room. LeighDeux has beautiful pieces perfect for your room. They also make the famous headboard pillow, which comes in a variety of colors and fabrics. You can even monogram them. These are a great option instead of headboards, or you could use both to make your bed even more comfortable. You can also buy fabric by that yard here, so if you like a fabric they have you can make your own pieces. The shop also has bedding and decor perfect for your room, so be sure to give them a look. Etsy was honestly such a lifesaver while I was shopping for my dorm. 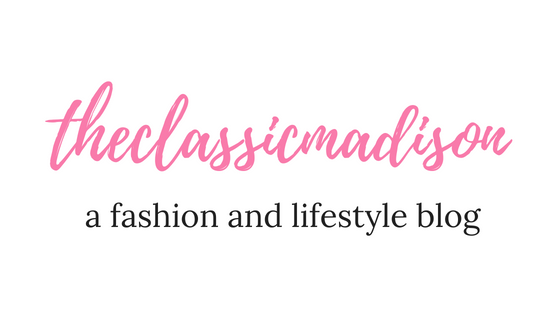 I purchased so many decor pieces from here, and I loved being able to customize my room with Etsy pieces. I will link some of my favorite etsy pieces in an upcoming post about designing a dorm room! Please, no matter what else you do, do not start shopping the week before you head off to school. Waiting until the last minute leaves you and your family stressed, but also leaves limited options. Right now companies are releasing their dorm products, so be sure to start looking now. This also leaves more time to make your dorm perfect! Don't wait! To make sure you don't buy items that are prohibited from being in your dorm room (such as bed risers, extension cords, certain cooking appliances) check on your college's website. Most colleges will make a list of what/what not to bring (which can be helpful), so be sure to check this out to make sure you don't buy anything you are not allowed to bring. You definitely need a list no matter what when it comes to dorm shopping. Start brainstorming and researching now by watching youtube videos, reading blog posts, etc. I will make my own packing list for y'all in a couple weeks, but until then start thinking about what you want and need to bring to college. Do not expect to go to Target one day and purchase everything you need for your dorm. Expect multiple trips and orders to multiple stores. It is so easy to forget items, and you will also realize as you get closer to leaving that you want to add items to your list. Spread out your purchases and understand that multiple trips are needed. Finally, make a diagram (with your roommate preferably). This does not have to be a perfect diagram (and by no means to you have to completely replicate the diagram) but making a simple diagram, showing where you want to put furniture, etc. can help you plan out your room and decide what you do and do not need. You can also plan out decor, organization, and more. Definitely recommend doing this, even if it seems a little extra! Are you all starting to shop for your dorm room? I absolutely loved dorm shopping, and I am sad that I won't be perusing Bed, Bath, and Beyond come August like I did last year. Make this process fun, and try not to stress. This is one of your first experiences with college, as you are learning what you need to live on your own and how to design your own space. 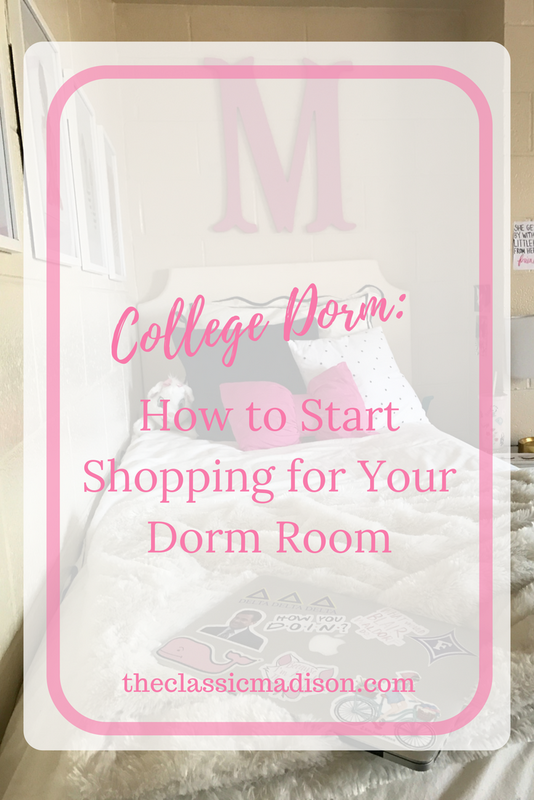 If you are currently shopping for your dorm, what are you buying, and also what questions do you have about the process? Ah you're welcome! Glad this is helpful!